United States (U.S.) President Donald Trump said on Monday “rogue killers’’ may have been behind the disappearance of Saudi journalist, Jamal Khashoggi, and Saudi Arabia’s King Salman ordered an internal investigation into the case. Trump said he had spoken with King Salman about Khashoggi, a critic of Saudi policies, and that he was sending Secretary of State Mike Pompeo immediately to meet the king and travel to other places as needed. Khashoggi, a U.S. resident and Washington Post columnist, vanished after entering the Saudi consulate in Istanbul on October 2 to get marriage documents. Turkish officials have said authorities believe he was murdered there and his body removed. Saudi Arabia has strongly denied killing Khashoggi and denounced such assertions as “lies”, saying he left the building shortly after entering. A Turkish official and a security source said on Monday that the authorities have an audio recording indicating that Khashoggi was killed in the consulate, without providing further details. The official said evidence was being shared with countries including Saudi Arabia and the U.S. 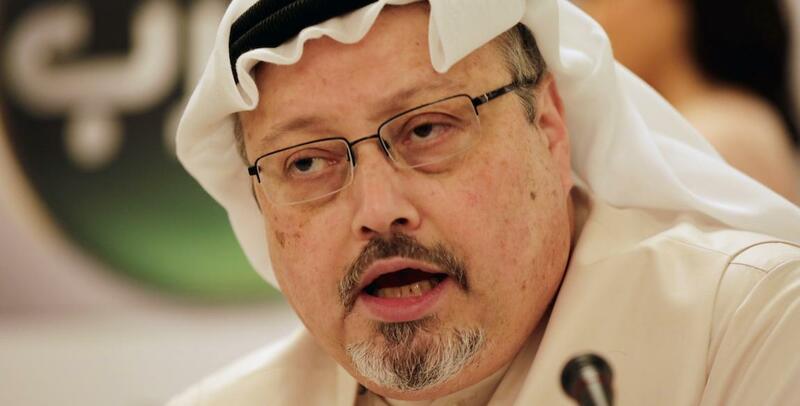 The case has provoked an international outcry, with Trump threatening “severe punishment’’ if it turns out Khashoggi was killed in the consulate and European allies urging “a credible investigation’’ and accountability for those responsible. A joint Turkish-Saudi team was set to search the Saudi consulate in Istanbul, where Khashoggi was last seen on Oct. 2. “It has been 13 days since the event, so surely proving some of the evidence might be difficult, but we believe we will obtain evidence,” the Turkish official said. A Saudi official, not authorised to speak publicly, said that the king had ordered an internal investigation based on information from the joint team in Istanbul. King Salman and Turkish President, Tayyip Erdogan, spoke by telephone on Sunday and stressed the importance of the two countries creating a joint group as part of the probe. The Saudi stock market had tumbled 7.2 per cent over the previous two trading days but rebounded two per cent on Monday. Khashoggi, a familiar face on Arab talk shows, moved to the U.S. in 2017 fearing retribution for his criticism of Prince Mohammed, who has cracked down on dissent with arrests.